October 2013 LSAT Scores are In! As usual, LSAC released the October LSAT scores a couple of days before schedule and test-takers are currently receiving the news via Email. The official curve out of 101 questions was -12 for a 170, -19 for a 165, -28 for a 160, and -46 for a 150. If all of your hard work paid off, congratulations! It’s now time to seriously direct your focus to those law school applications. If things didn’t go as you were hoping they would, don’t freak out–we’re here for you. Start by taking a few deep breaths and have a look through our Retake Manifesto to decide whether it is worth your efforts to reregister for the exam. If you decide that a retake is your best option, be aware of some of the upcoming dates and deadlines pertaining to the December 2013 LSAT. For anyone who knows they still have a little more LSAT work to do, you’re invited to sit in on a free Manhattan LSAT online trial class tomorrow night, October 29th at 8:00PM (EDT). You’ll be able to experience one of our 99th percentile teachers in action, learn techniques for solving numbered ordering logic game problems, and receive full-course discounts. If you can’t make it tomorrow, we have another free online LSAT event coming up on November 13th. 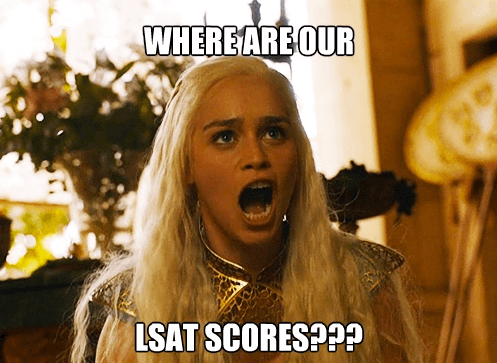 Kudos to everyone for making it this far and if you’re still waiting for your score, may the LSAT odds be ever in your favor. 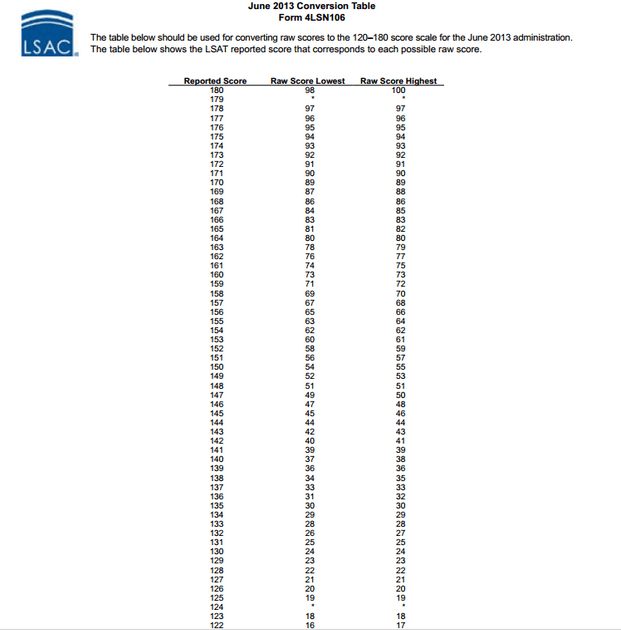 JUNE 2013 LSAT SCORES ARE HERE! The wait is finally over! The June 2013 LSAT scores are in and are currently being sent to test takers via E-mail. The curve was -11 for a 170, -27 for a 160, and -46 for a 150. Congrats to everyone who rocked it and are ready to start your law school applications! For those who didn’t receive the Email they hoped for, proceed by taking a few deep breaths as well as a look at our Retake Manifesto to decide whether it is worth your efforts to reregister for the exam. If you are set on retaking the next available exam, be aware of some of the upcoming dates and deadlines pertaining to the October 2013 LSAT. Need to talk more about your June 2013 LSAT score? Leave a comment below, tweet @manhattanlsat, or email StudentServices@manhattanprep.com/lsat/. June 10, 2013 July 5, 2013 ? ? As you can see, chances are that your score will show up in your inbox prior to July 5 and possibly as early as July 1. When that day does come, here’s how it works: you’ll get an email sometime during it. The scores are released in batches and so your friends who also took the test may know their scores in the morning while you don’t get yours until evening. But once the floodgates open, you can trust that it’s on its way. Review the June LSAT, Retake in October? If you took the LSAT on June 6th and were less than pleased with the outcome, then consider attending our free online review of the exam next Monday night (7/11) at 8pm EST. Two of our instructors will be breaking down some of the harder questions from the exam and offering advice on whether or not retaking in October is a good choice for you.